All the ghost hunting TV shows use these, so called'Full Spectrum' (in reality they are'wide spectrum') converted action cameras. With the internal lense filter removed, refocused and tested, they become a superb night vision camera, able to detect and capture light anomalies,'orbs' and shadow figures beyond our own eyes ability (and also better than mere IR cameras). 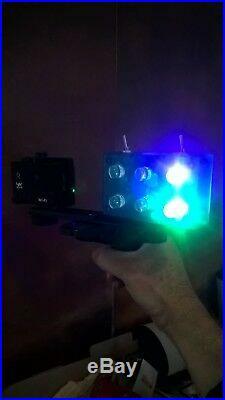 This is a complete ghost hunting night vision camera kit, consisting of the following. 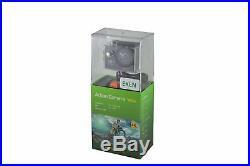 Converted Eken W9S 1080P action camcorder. 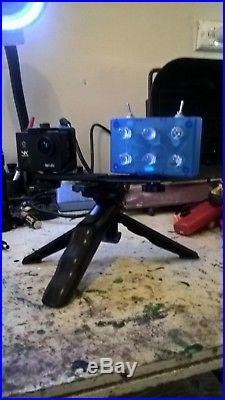 Spirit Tech FS light unit (9V powered, battery not included). 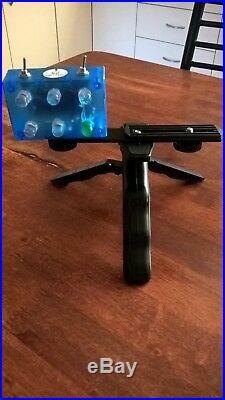 Pistol grip/tripod and mounting bar. 3X 900mah batteries and charger. 16Gb Class 10 MSD card. 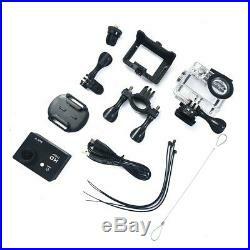 Full Eken accessory kit (see pic). Screen: 2 Screen /320-by-240-pixel resolution. Video Recording Mode: Loop recording (1080p only). Burst: 3 Photos in 1.5 second. Time Lapse: 2s, 3s, 5s, 10s, 20s, 30s, 60s. EV Compensation: +-2.0/+1.7/+-1.3/+-0.7/+-0.3/0. Shooting Mode: Single Shot / Self-Timer / Continuous Shooting. Input / Output: Micro USB port HDMI. Storage: Micro SDHC Card (not Included). Battery: Rechargeable 900mAh Lithium Battery (1.5hrs). See actual video taken with this camcorder. Prices quoted here are guaranteed. Any questions, feel free to ask! The item "FS'Full Spectrum' camera kit for Ghost Hunting, complete night vision camcorder" is in sale since Saturday, March 2, 2019. This item is in the category "Lots More... The seller is "ozziegadgetgirl" and is located in Stawell, VIC. This item can be shipped worldwide.